With its central location, Vagabond Inn Fresno Hotel is within easy reach of most tourist attractions and business addresses in Fresno (CA). This 3-star hotel offers 121 guestrooms, each presenting guests with all the comforts expected from a hotel in its class. 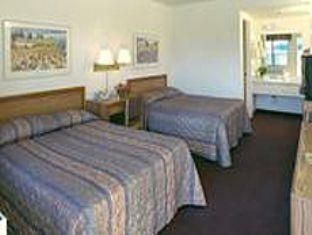 Each of the hotel's guestrooms offers satellite/cable TV, ironing board, daily newspaper, internet access – wireless. 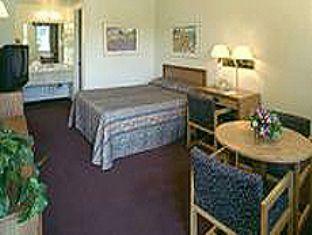 Guests staying at this Fresno (CA) accommodation can enjoy a wide range of hotel facilities such as business center, Wi-Fi in public areas, laundry service/dry cleaning, safety deposit boxes. Hotel's guests can experience on-site latest leisure and sports facilities such as outdoor pool. Being one of the good quality hotels in Fresno (CA), guests staying at this hotel will find its convenient location and tranquil atmosphere pleasurable. To proceed with this reservation at the Vagabond Inn Fresno Hotel, please enter your visit dates and follow our secure online booking form.